Although it seems rather premature, the Chinese media has already declared a post-“You Who Came From The Stars” era within the mainland, referring to the “resurgence of the Hallyu wave” in China. With it comes the increased flow of Korean dramas and variety shows into China where the rights to broadcast locally-produced Chinese versions of the shows in question have been purchased by Chinese broadcast stations such as Hunan TV from SBS, KBS, MBC, and TvN. There appears to be a sudden influx within the last few months, with five Korean variety shows being successfully adapted in 2013 alone — and, as the Beijing Legal Times reports, the asking price for the rights to broadcast has gone up almost 10 times in the past year. Latest to join the ranks is “Running Man,” where SBS is reportedly in negotiations with Zhejiang TV to produce a Chinese version for the domestic market. Different from the rest of the Korean-adapted shows, though, is that comparatively, the news of a Chinese version of “Running Man” has not been well-received among the Chinese netizens. Concerns that keep popping up are that the Chinese cast will simply not do the beloved Korean one justice, as well as that netizens being highly skeptical that any Chinese celebrity would be willing to “wrestle in the mud, pull off each other’s pants, and betray each other till the end” in the likes of their Korean counterparts. This brings to mind one of the inherent, most fundamental problems with adapting foreign television formats into a local one: the potential reception of the local version by consumers already familiar with and fond of the original. That being said, it is more likely to happen with the trendy shows featuring a permanent cast like “Running Man” where a large draw of the show is the chemistry of the cast, and the audience already consumes the Korean version as fans of Hallyu. However, for other shows like “Where Are We Going Dad?” and “I Am A Singer” where the target demographic spans a much wider reach, they have struck gold within the Chinese television industry. 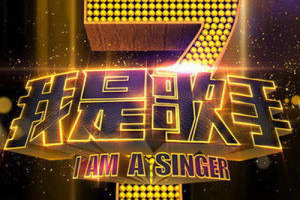 “I Am A Singer” topped viewing figures at 2.38%, overturning the previous reigning audition show “Voice of China.” “Where Are We Going Dad?” recorded a 1.46% rating during its pilot episode, comparable to Hunan TV’s own primetime hit “Happy Boy” at 1.4% in the same time slot the week before. The question of Korean variety show formats being adapted into Chinese television reflects another issue on the other end of the Hallyu-export spectrum, glocalization: a product adapted specifically to the culture in which it is sold. This is markedly different from the purely Korean Hallyu exports we see in idols, dramas, and movies. With a Chinese cast and a Chinese production team (nevertheless mentored by the Korean production team), it inevitably sets up the parallel shows for comparison among those who watch both. A most salient example would be the hit variety show “Where Are We Going Dad?” Certain factors already paved its way to variety popularity in China: a relatively refreshing concept of celebrity dads taking their children on trips, the fascination with different parenting methods that arises from a one-child policy, the inevitable fuzzy-wuzzies that accompany such a format. However, it is also precisely its concept as a parent and child-focused show that invites the most comparisons between both versions, the most popular being the differences in each culture’s educational and child-rearing systems. Perhaps this is how “Where Are We Going Dad?” embodies the glocalization of Korean variety formats much better than say, “I Am A Singer,” “Immortal Song,” and “Superstar K.” So far, the majority of variety franchises bought over are based on the audition show format which, other than having it performed and broadcasted in a different language, remains universal. Without having to delve too deeply into the culture behind the broadcast, one more or less knows what to expect from watching an audition show. For shows like “We Got Married,” “Running Man” and “Where Are We Going Dad?” a significant portion of the show’s appeal lies in the cast and their interactions, which is then influenced by the culture and environment the show is set in. For instance, going back to “Where Are We Going Dad?” a Chinese article comparing the two versions points out how the Korean version is slower-paced and more organically edited, focusing more on the various little moments between each father-child pair. In comparison, the Chinese version, reflecting the tendency for local variety to be fast-paced and dramatic, features constant competitions between the father-child teams. This has resulted in remarks that, far from showing the sentimental bonding of father and child, the Chinese version merely reflects the highly competitive nature of contemporary Chinese society where the children are taught to want to be better than the rest from a young age. Whether he is right or not about the Japanese programs, what remains is that the current dominant cultural wave sweeping over mainland China is the Hallyu wave, not J-cool. Now that “You Who Came From The Stars” has marked a re-entry point for the Hallyu wave 2.0 to enter the potentially lucrative Chinese market, the trend of importing and remaking South Korean entertainment programs is likely to continue over the next few years at the very least. As more and more unique television franchises get adapted into Chinese versions, perhaps then we would be able to see the true extent of glocalization via variety programs that the new Hallyu wave is bringing about to China.